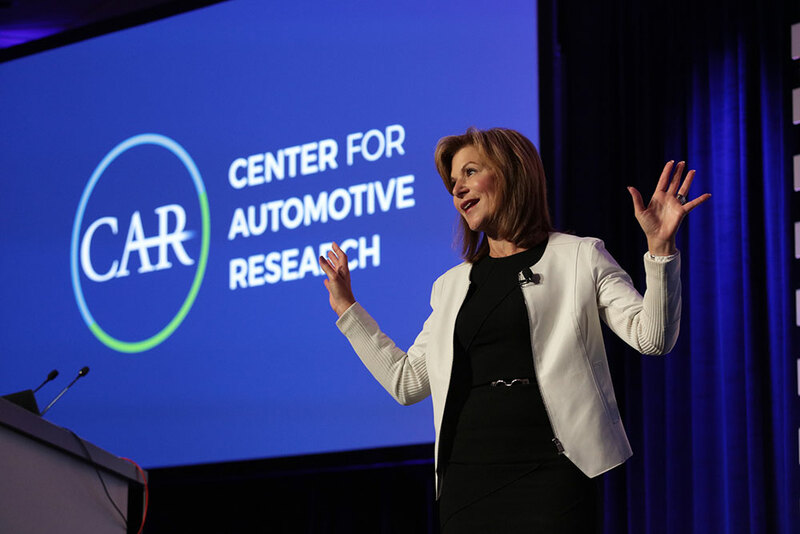 LiveWorx is proud to partner with the Center for Automotive Research on the Automotive & Mobility Track educational track at this year’s event, June 10-13 in Boston. LiveWorx is the definitive event for digital transformation and marketplace for solutions engineered for the new era of industrial innovation. Driven by this year’s theme, “Augmented Workforce: Taking Human Capabilities to New Heights,” LiveWorx features all the latest tech and education that will make you more efficient, all in one place. Transformational technologies are affecting the dynamics of cities significantly. Technological improvements and advanced mobility technologies have led to multi-dimensional effects on cities and are expected to have even bigger effects in the future as they become more publicly available. Communities across the U.S. (and beyond) are seeking resources to better understand the potential impacts of these technologies on their communities. The convergence of connected and automated transportation and the role mobility will play in smart cities will be discussed. This presentation will focus on required actions at city level, related to planning, policies, infrastructure investments, and public-private partnerships to prepare communities for adopting new technologies. Beyond policy, Bailo will talk about the value of public-private partnership in helping cities to understand the technology and envision its roadmap. How can rigid rules enable creative reuse? BMW created its SMArDT modeling methodology in order to ensure that all development projects were consistent with ISO26262 and other relevant standards. Now rolled out across BMW’s system engineering and functional safety community, the team will provide an overview of early project returns. This presentation will provide a short introduction to the SMArDT methodology. Presenters will explore how the formalism of SysML has positively impacted both system and software design as well as implementation quality. Most importantly, attendees will see how the methodology has helped BMW harvest concepts, ideas and design decisions and make these readily available for re-use across teams and projects. The e.GO Mobile AG is an electric mobility startup based in Aachen, home of the largest technical university in Germany. As a joint venture, the e.GO Mobile team needed to establish a solid foundation for sharing functional specifications and design ideas for the e.GO Mover, the company’s flagship all-electric, fully networked and autonomous bus. This presentation will explain how the team overcame multiple obstacles to develop a clear picture of the Mover’s functional and electrical and electronic (E/E) architecture, including functional safety, as a basis for collaboration and design reuse. A key accomplishment was the successful communication of a new mobility concept for autonomous vehicles (up to level 4/5). Hear how the cooperation of domain experts, methodology experts and tool experts in short iterations was the recipe for success. This presentation will highlight the organization of the e.GO Mobile project, which modelling perspectives were used, and pragmatic product line engineering. Navika Wadhwa, Engineering Systems Project Manager, PACCAR Inc. This session will take you through the roller coaster journey that PACCAR experienced when it decided to move away from multiple less transparent, non-integrated and non-automated database and communication management tools to a single, integrated and robust tooling management application. When PACCAR started this project, they faced implementation challenges like migrating heterogeneous data from multiple sources and departments, vetting the data quality through multiple migration rehearsals, and more. However, the benefits of integration and automation outweighed the challenges and the end result was a consolidated tooling management interface with a single process for approving, purchasing and managing tools. Users experienced a reduction in turnaround time for tooling approvals making the process 81% more efficient. Tooling delays went down by 2 weeks. The automation eliminated manual entry, calculation errors and rework efforts. Users had visibility to 16,000+ shared tooling records across divisions. The integration of generative design, advanced simulation, IoT and additive manufacturing offers manufacturers a powerful opportunity to enable an automated, responsive design cycle. With digitally integrated product development, product performance results can automatically enhance and optimize 3D models in real-time, leading to direct additive manufacturing of a re-designed product or component. In this session, presenters will demonstrate this approach through an integrated prototype solution and will demonstrate the automated update and additive manufacturing of a real automotive component. Attend this session to learn about the transformative opportunity for new product development through generative design techniques. New sessions are being added daily, browse the Session Catalog to view all of them.